What were the best and worst things about growing up in Feckenham? The thing I enjoyed the most, was the sense of freedom and security. Feckenham was a tightly-knit community where people really knew one another. So, as a child I could play out for hours with friends. Armed only with our imaginations, we could turn the village into our own world, and all the time, our parents could feel at ease in the knowledge that people were always looking out for each other. I can’t see that being the same for my son, sadly. Different time, different place, I guess. The worst thing was probably the same thing, but in reverse. I could never get away with being naughty, my parents always knew what I’d been up to. Not that I was ever up to anything, of course! Who was your role model growing up? When did you start writing? Call it a cliché, but my role model was my father. He always had a way of keeping things simple and fun. He did what every parent should do, and he did it well. He allowed me to enjoy my time as a child, I can never thank him enough for that. Writing is something that came far later in my life. I was 24 years old and it was 1999. That’s when the very first seeds of ‘The Shady Corner’ were sown. Not that they were ever meant to grow into a novel. Describe your parents. What were they like? What did they do? How have they influenced your career so far? In a word ‘Wonderful’. My father was a soldier, a teacher, a great sportsman, and a successful businessman. Sadly we lost him in 2009, but he is always with me. My mother has always ran her own business from home and was literally always there for me. Loving doesn’t come close describing her properly. How have they have influenced me in my writing, is a tough question to answer. I guess they have allowed me to grow and develop into the person that I am, but there was no horror in my life that led me to write what I write. Do you remember the first horror/thriller book you read that just blew you away? Stephen King’s ‘Misery’ it’s a masterpiece! 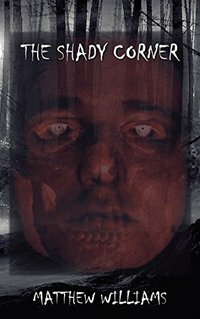 What do you think is so special about the horror genre and why are so many people, even skeptics that don't believe in anything minutely spiritual, are drawn to it? I think horror is a very broad subject that has many facets, and I believe people like to push their boundaries. Everyone has a different tolerance to the different guises that horror takes on, and I like to believe that people enjoy the thrill of being scared. For me, it’s the enigma of horror that is the draw; with horror, there is no need for boundaries! If you were a genie, what is one wish you would NEVER grant? Power – I believe that power should be earned, and it requires a great deal of trust and respect to be wielded effectively. I’ve yet to meet anyone who wouldn’t abuse it! 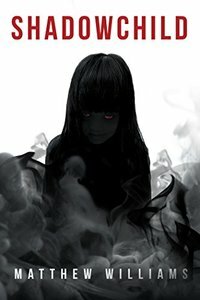 Congratulations on your book "Shadowchild" winning Cover of the Month for the month of April, 2017! What was your inspiration for this book? Are there any legends surrounding Feckenham, where you grew up? Thank you, I campaigned hard for the win, and I must thank my publishers for the finished artwork. The design was my own, but what they did with it, I think, was amazing! 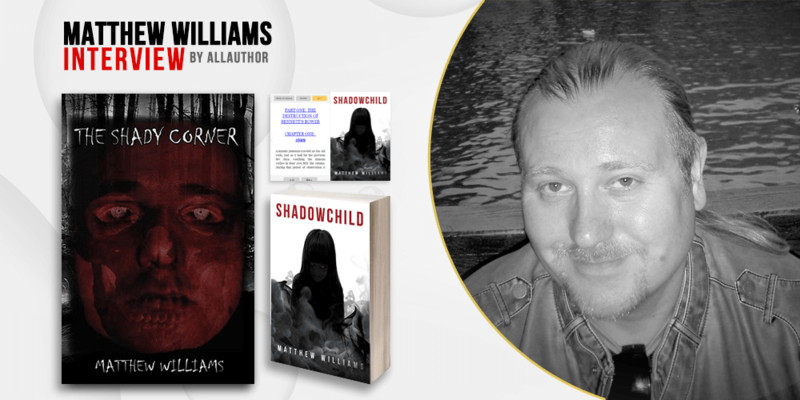 My inspiration for Shadowchild was to create something that I hadn’t seen before. It does take elements of the supernatural, possession, and even zombies. But it is put together in such a way that it feels new and fresh, please don’t take my word for it, check out the reviews and you’ll see that most people say the same thing. As far as legends in Feckenham, I am only aware of the ones that I have made up I’m afraid. Although there is a little bit of truth in the opening chapter of Shadowchild! What are some good books you've recently read or are reading at the moment? I have recently read ‘The Hitch Hikers Guide to the Galaxy’ by Douglas Adams and that is a wonderful book. Right now I am half way through a book by Stephen Helmes called ‘Nightly Visits 1 to 6’. It is a book of short horror tales, and I am enjoying it very much. Do you have any interesting/funny stories from when you were a new author and still learning your way around? I still am a new author, in the real sense of the word. Even though I have been writing for a good few years now. I am only just beginning to reach out in the world of books. So to be honest I still am learning my way around, but the important thing is that I am still learning. Tell us a little about your character David Wilcox from "The Shady Corner". What are some aspects about him that you relate to? What is his most defining trait? David is possibly the most complex character that I will ever create, he is certainly the darkest. Personally I do relate to him and his reasoning a great deal more than my readers probably do. But in a funny way I like him, I even feel sorry for him at times, despite the horror he causes to those around him. His defining trait is his special brand of evil, he is a monster. Or is he? Do you usually edit or proofread your own work or have someone else do it for you? On first publication of The Shady Corner, back in 2008 I had proofread myself. It didn’t go well and I withdrew the book from sale very quickly. I have had both my novels proofread by a retired copyeditor who volunteered his services because he just loves what he does and liked my work. I have grown and learned a great deal, but it is evident that I still need to learn more, and due to ill health, I do need to find a new copyeditor going forward. On the editing side of things, the story, the characters, the twists and turns. I never want to give that side of editing away. So I edit those things and my wonderful wife makes me do it again until it’s right. Who are some of your closest friends and are any of them authors? How have they helped you in your writing journey? My closest friend is my wife, and she is the only close friend that I need. That said, feedback is something that I regularly seek and that does involve a lot of other authors, but purely in the internet world at this point. One day, maybe? I’ll work more closely with other authors. I would certainly love to do that in the future. The great thing about being an author, is that authors don’t have to complete with one another. It’s a symbiotic need to support one another and find readers together. Readers always need more stories to read! I’d like to be remembered as a good father and a loving husband, and I can control both those things and make them happen. But it would be amazing to also be remembered as an author. To be some people’s favourite author. To be remembered as a great horror novelist! All I can do there, is my very best, the rest isn’t entirely in my hands. Have you ever had a supernatural experience? If so, please relate it to us. My father visited me a good few months after he passed away. To this day it is still the weirdest experience of my life. What made it so weird, was that it was just like meeting him when he was alive. There was no ghostly haze, or translucent white glow! It was just my father walking toward me as though he’d forgotten to give me something and needed me to have it. I was completely awake, and completely sober at the time. According to my friend I just drifted off for a while as I stood there, enjoying this experience. When I relayed the story to my mother, she simply said, “Yeah, well that’s how it always happens!” So now you all know folks, that is how it happens, my mother told me so! And finally, how helpful has AllAuthor been to you so far? What do you like about the site, what would you change, and would you recommend it to other authors? AllAuthor has helped me to expand my network in a very short space of time, and I love the twitter scheduler, although I still need to make better use of it. To be fair the main thing I would change is the giveaway, I am still waiting to see how this is going to work, it still says (coming soon) and I’d like it to be active, so that I can use it to help me promote my work even more. Yes, I would recommend AllAuthor to others, it has been very useful so far. 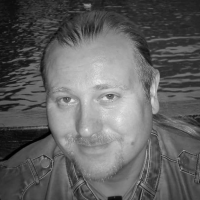 Born in Evesham in 1975, Matthew has always loved the horror and thriller genre and his books are bound to raise more than a few goosebumps too. The love & support by his parents made him the person he is today. Horror itself is a vast genre to cover as everyone gets scared differently but Matthew has the art to pull out even the deads out of the graveyard to scare you through his stories. His personal supernatural experience was watching his father upfront him after passing away a few months ago from the day. His dream is to be remembered as a great horror novelist of his time for which he is doing his all best and we wish him good luck for that.